Power-shopping for fashion’s most sought after brand names, browsing the weekly market, experiencing workshop tradition, Nuremburg lets everyone go at their own pace. One of the oldest and largest pedestrian zones in Europe stretches across Nuremburg’s historic Old Town like a triad of fashion, lifestyle and luxury. The alleys are seeped in the flair of times past, where anyone interested can peer over the shoulders of hatters, knife grinders, or goldsmiths at work, or treat their palettes in the gingerbread bakery or coffee roaster. Visitors to Nuremburg’s streets are bound to discover something trendy and unusual, be it traditional or modern. 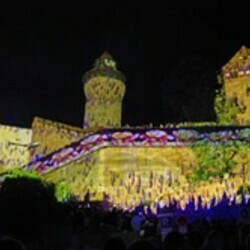 Every spring, locals as well as visitors from all over the world flock to Nuremberg's old quarter after nightfall to experience Blue Night, which features around 250 events at 70 cultural venues. Light installations bathe buildings and entire streets in a blue glow, telling stories of their own and giving visitors a completely new perspective on the city. The programme is accompanied by exhibitions, concerts and plays. 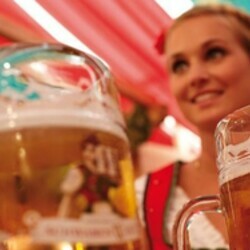 The Franconian Beer Festival offers the entire diversity of the domestic art of brewing. More than 100 beers are on offer in the romantic castle moat below the Kaiserburg. No culinary desires will be left unfulfilled by the range of participating breweries from Franconia and surrounding areas as well as many food stands with Franconian specialties.